Thanks to the convenience and versatility of dental veneers, you don’t have to suffer through cosmetic issues such as chipped teeth or a lackluster smile. When you visit our warm and welcoming dental clinic, located in the heart of Scarborough, we’ll answer any questions you might have and help you determine whether you’re a good candidate for dental veneers. We pride ourselves on providing compassionate and personalized care, so you can be sure you’re getting advice tailored to your individual needs and the current state of your teeth.  The process of applying dental veneers can be completed in one or two visits, depending on the material used. With porcelain veneers, we start with some preliminary work on the affected teeth. This includes removing a fine layer of enamel to create a more consistent surface and to allow room for the veneers. Achieving a custom fit requires a mold of your teeth, which we use to then create your porcelain veneers. During this process you’ll have temporary veneers. When everything is ready we will replace the temporary veneers with your custom-made set, and bond them to your teeth with a special composite resin.